The French love their dogs and tend to take them everywhere. (They also love them so much that they don’t seem to ever pick up dog poo, no matter where it lands, but that is another story.) We seemed to run into a lot of really sleepy French dogs, who couldn’t be bothered to move (or wake up) for anything. 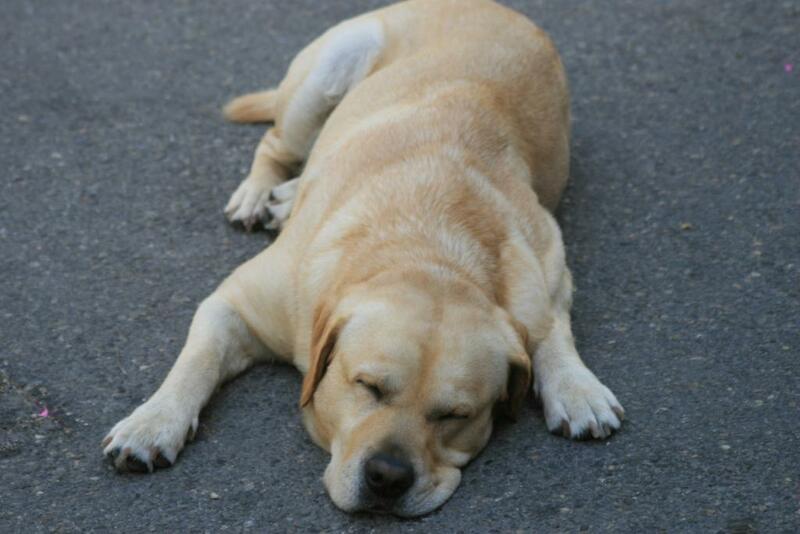 I once stepped in la merde du chien at least three times on a walk in Reims… Which led me to take of photo of the “curb your dog” signs in the sidewalk. It does remind me of one of my favorite David Sedaris stories, “I pledge allegiance to the bag”.